When Sidrah Ahmad describes the climate in Canada for Muslims, she uses the boiling frog analogy. If you put a frog in boiling water suddenly, it jumps out. But if the temperature increases gradually, it doesn't notice the change and will be boiled alive. Some people don't realize Islamophobia exists and is getting worse, she says, especially since the election of U.S. President Donald Trump, with his anti-immigration rhetoric and policies like the Muslim travel ban. A painful reminder of the hostility toward Muslims in Canada will occur next week: the one-year anniversary of the shooting at Quebec City's Centre Culturel Islamique de Québec. Six Muslim men were killed and many others were injured after a gunman opened fire in the mosque on Jan. 29. Alexandre Bissonnette, charged with six counts of first-degree murder and six counts of attempted murder, is expected to go on trial this spring. U of T's Muslim Students' Association, which describes itself as the largest student club at the university, helped organize a vigil the night after the shooting. The group also hosted a healing circle in U of T's Multi-Faith Centre. About 70 people shared their grief at the event, says Ammara Wasim, vice-president of communications at the MSA. Ahmad, the master's student, learned about the shooting in “in the worst way possible: alone and on Twitter.” She was in the process of writing her ethics proposal when she got the news. Although still reeling from the tragedy, she felt a greater sense of urgency to produce her planned master's thesis – resesarch on Islamophobic violence faced by Muslim women in the GTA. That summer, she made a social media call-out for volunteers to participate in the study, and found 21 women within a month. Their ages ranged from 18 to 58. Nine were Black, 18 wore a hijab, niqab and/or abaya, and each had a story to share about being attacked because of their beliefs. U of T News spoke with other Muslim students at U of T about their experiences with Islamophobia. Sanah Matadar, a fourth-year student in psychology and health studies, recalls an incident in her last years of high school. While she was waiting at a bus stop, a stranger drove up to the curb and rolled down his window. She expected him to ask for directions, but instead he said, “Are you going to kill anyone today?” Matadar was so taken aback that she could only muster the words, “Excuse me?” before he said something else and drove away. “I'm not usually sensitive about this, but I'm in the middle of talking about the product – why is this bothering you so much? Would you touch somebody's shirt like that?” she recalls. Ahmad, the master's student at OISE, now works for the Ontario Council of Agencies Serving Immigrants. Her qualitative research, she hopes, will give greater visibility to the violence and other negative experiences lived by Muslim women. The interviews also shed light on how Islamophobia overlaps with other forms of hatred and discrimination, she says, from anti-Black racism to gender-based violence. Some of the women, especially those with darker skin or those who wore the robe-like abaya or a black hijab, reported being harassed more often. Instead of seeing the participants in her study as victims, she says she was impressed with their resilience. Many of the women told her they recited passages from the Qur'an to themselves or prayed for their attackers. 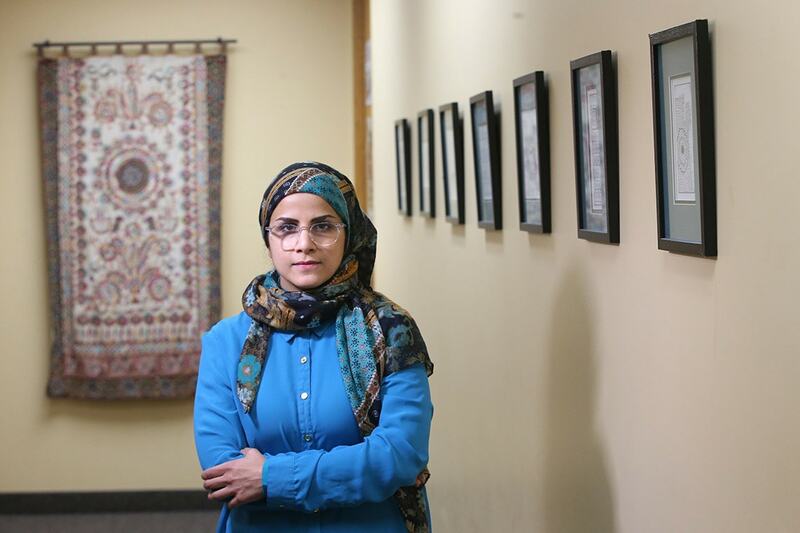 Ahmad collected the women's experiences in an online “toolkit on Islamophobic violence by and for Muslim women,” which includes poetry by the participants and a list of supports like counselling hotlines and the National Council of Canadian Muslims hate crime reporting tool. Researchers at the university have an important part to play if Canada is to address rising hate activity in the country and make sure that life is safe for everyone who lives here, Ahmad says.